The Pays d’Oc lies in the South of France, where it stretches along the Mediterranean Sea and spans four departments in the Languedoc-Roussillon region. There are vast expanses of vineyards. 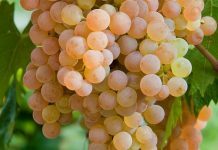 The Languedoc has had a history of making rather ordinary wines, but in recent years the amazing potential of the region has been rediscovered by some of the top names in the French wine industry. For creative young winemakers, the Pays d’Oc has become the trendy place to be. Jean-Claude Mas has become something of a celebrity for his approach to premium winemaking in the Languedoc. 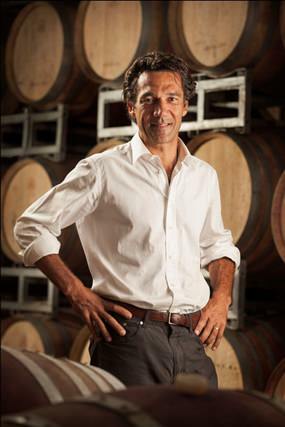 Domaines Paul Mas is one of the largest and most successful wine companies in the region. It’s one of the oldest too, because Jean-Claude’s great-grandfather, Auguste Mas bought the first family vineyard back in 1892. Jean-Claude’s mission has been to make superior wines in a modern style using only top quality grapes from his estates throughout the Languedoc. He’s helping to turn the Languedoc into one of the most exciting and dynamic wine-making regions in France. The company owns over four hundred acres of premium vineyards, planted with twenty-five different grape varieties, including Syrah, Grenache, Cabernet Sauvignon, Merlot, Viognier and Chardonnay. The winery has invested huge sums in new equipment, including stainless steel tanks, pneumatic presses and sophisticated temperature control systems. 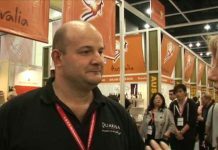 They make a wide range of award-winning wines, notably Château Paul Mas, Paul Mas Estate and Claude Val which are sold in twenty different countries worldwide. Much of the wine from the Languedoc is sold under the IGP category (Indication Géographique Protegée) which is basically a standards guarantee. With the letters IGP on the label, you’ll know straightaway that you’re getting something a few notches up the scale from ordinary table wine. By the way, the prices shown here include the recent tax increases. This dark red wine has a terrific aroma of black and red fruits with warm and rounded smells of plums, mulberry and a faint hint of minty spice. There are distant reminders of chocolate and licorice too and that woodland-like brambly smell that Merlot so often brings to a wine. You know, the aroma is so important. I have probably droned on about this before, but I am convinced that 90 percent of the enjoyment of wine comes not from drinking it, but from savouring the aromas. So often, I see people taking a cursory and rather pointless dainty sniff before having a swig. They’re clearly giving very little thought to the aroma. Some people don’t even bother to smell the wine at all, which always seems a shame because they are missing such a lot of enjoyment. I love smells, which adds further evidence to my theory that I was once a dog in a previous life. I probably looked like one of those big furry Labradors that you see on packets of Pedigree dog biscuits. Actually, I even sniff beer on the rare occasions that I drink it. Good beer often has a lovely aroma but you never see beer-drinkers actually smelling it. I often wonder why they don’t. And as for single malt whisky or fine cognac, I’d say that 97 percent of the enjoyment comes from the smell. But you need a mouth, not a nose to appreciate the lovely texture of this wine. It’s super-smooth, plenty of rich fruit and a very gentle touch of acidity with soft, supple tannins. Actually, the tannin comes out more on the long finish, giving a very satisfying conclusion to every mouthful. You might even pick up a hint of tobacco on the finish which is not as odd as it might seem, for it’s one of Merlot’s lesser-known characteristics. This is really a jolly good everyday wine and interesting enough to enjoy on its own. But if you prefer your reds with food, it would go perfectly well with red meat, stews and many cheese dishes. 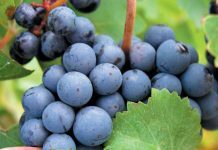 Cabernet Sauvignon must be the most famous red wine grape variety in the world. It seems to show up almost everywhere, but its spiritual home has always been France. This ruby-red wine has an attractive aroma of raspberries and blueberries and comes from low-yield vineyards planted on the hillsides of the region. I mention this because when vineyards are planted to produce fewer grapes, it usually means higher quality and the side of a hill offers better drainage than flat land. Like the Merlot, this wine has a very soft mouth-feel with a lovely balance of red fruit, a hint of spice and a very pleasant foundation of ripe, firm tannin. This is something I enjoy very much in a red wine, because a well-judged balance of tannin gives the wine a firm structure and prevents the fruit from becoming too dominant. Some reds, such as those from the Cahors region of France can be very tannic indeed and I have to admit that a few of them are an acquired taste. They rather remind me of the squat flagon-shaped bottles labelled Australian Burgundy which, for some reason were popular in Britain in the late 1960s. And rough old things they were too. Although in those days I was rather new to wine, they seemed about as charming as a second-hand pair of knickers and with enough toe-curling tannins to dissolve a small rodent. But this wine is really quite an easy drinker in the French style, and it probably sells like hot cakes in its home country. It was partly aged in oak barrels giving a pleasant roundness to the taste. It’s the kind of thing that you could find in any self-respecting French bistro: a really useful general-purpose sort of wine, fine for most red meat dishes, pasta or cheese. Surprisingly, it worked very well with a spicy pizza that I made. Being a bit traditional in my ways, I usually like to drink a Chianti or Valpolicella with pizza. But last week, when I was away from home, the dogs organised one of their Italian evenings. By the time I got back, there wasn’t a drop of Italian wine in the house.